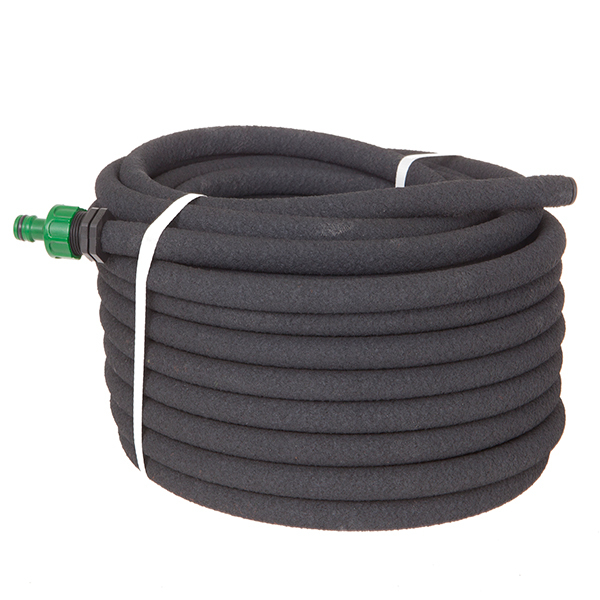 This high quality, commercial grade porous irrigation SoakerHose' slowly weeps' water along its entire length, providing a perfectly uniform and gentle distribution of moisture to the root systems of your plants. 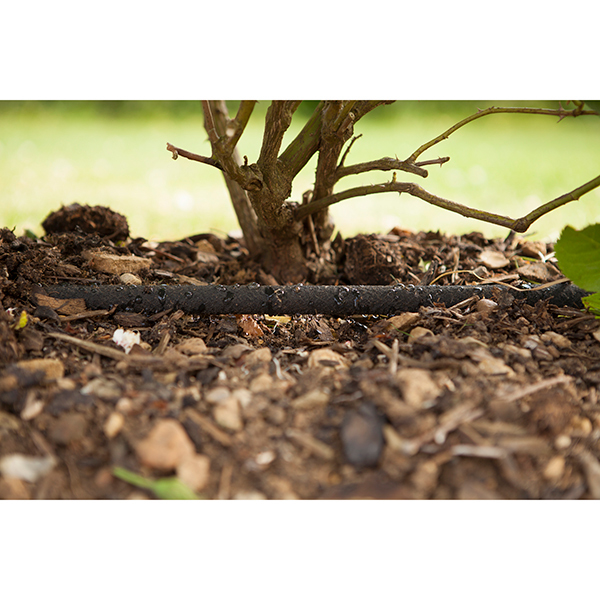 Simply connect the end to your existing hose, turn on the tap and then relax whilst your garden is watered. Best of all, because it applies the water at exactly the right place and at a rate where none will run off', it means you will use circa 70% less water compared to using a regular sprinkler or hand watering. It is very quick and incredibly easy to install. Simply place it on the ground along your beds and borders where your trees, shrubs and other plants are growing and it will discreetly lay there ready to precisely apply water in the perfect place just when it's needed. 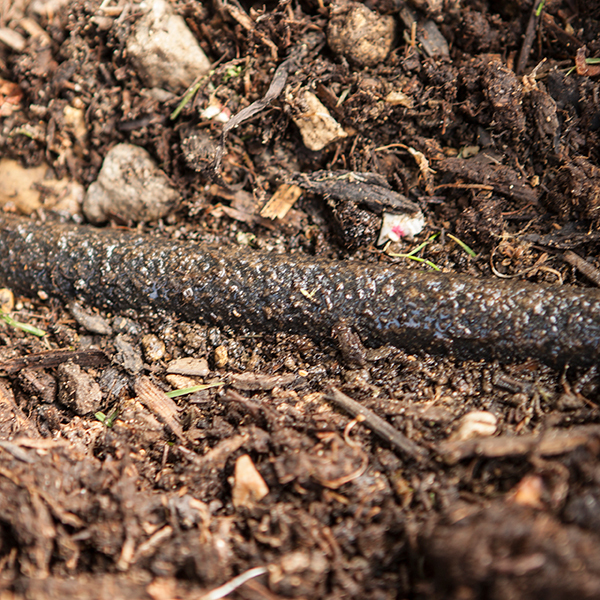 A covering of bark or mulch will make the results even better ensuring the water is dispersed more evenly. The mulch will also lock in the water thereby reducing evaporation. 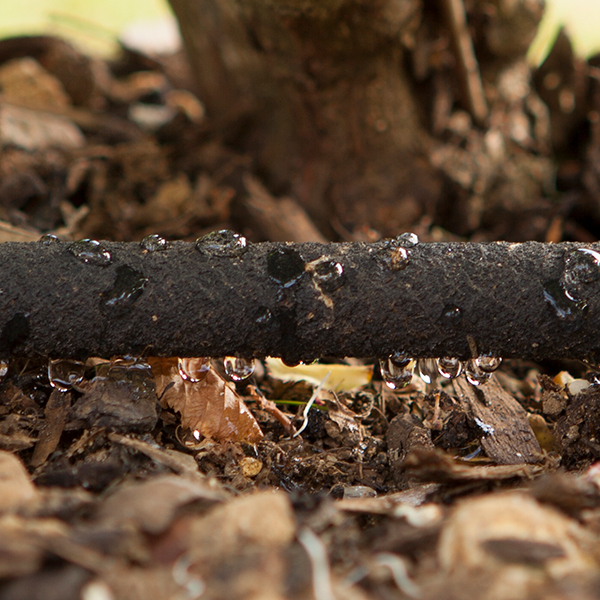 The SoakerHose' is the highest quality and is used and trusted by horticultural professionals. It has extra thick walls that will ensure it lasts for many years and because of its strength it does not kink, meaning you can snake' it around your plants to get the water just where it is needed. Made in the UK from eco-friendly recycled materials, it is the highest grade SoakerHose' available and comes with a 5 year guarantee. 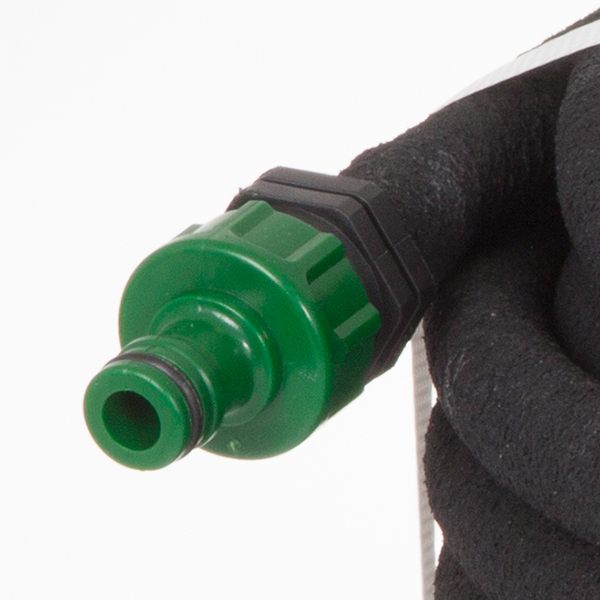 Specification: Supplied as a coil of soakerhose, complete with a male tap connector, and a stopper for the end. 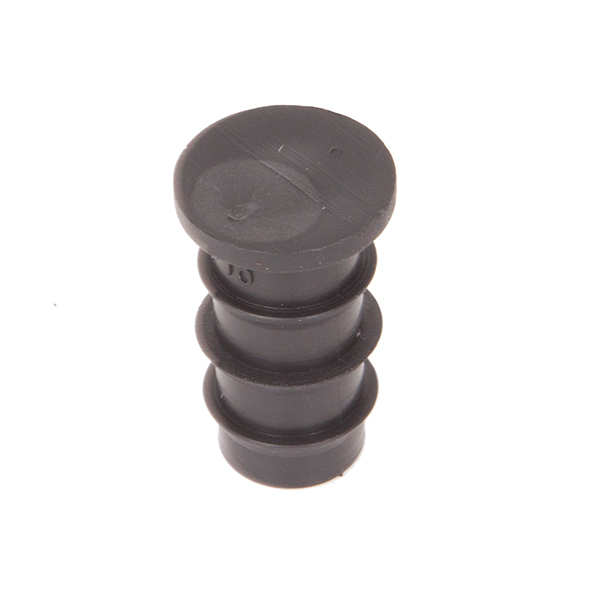 A connector accessory pack is also available - item 406269, allowing you to cut, join, make corners and multiple rows.